Where in the Bible does it say that Christians should or shouldn’t celebrate Christmas? Nowhere in the Bible are we being asked to celebrate Christmas. And we also read nothing about Jesus’ disciples celebrating His birthday. Do you enjoy celebrating Christmas? Is it sin to celebrate Christmas? 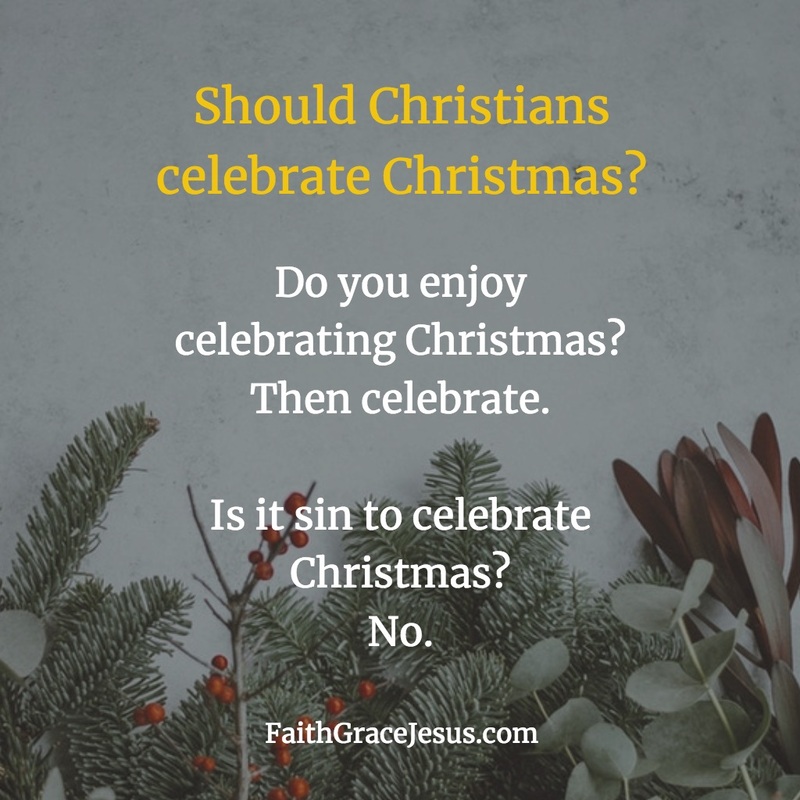 Is celebrating Christmas a sin? No. It is with Christmas as it is with everything else: What is more important to us? If Christmas as a holiday is more important than Jesus… not good. And the same way with money. Money isn’t bad either; it’s only bad when money is more important to us than Jesus. And it’s the same with not having money. If our poverty (and the complaining) becomes more important to us than Jesus, it’s not good. We don’t go to heaven because we are rich or poor, we only go to heaven because we take hold of the outstretched hand of our Jesus. State of grace. Reconciled with God forever through Jesus. 2 Things that Critics Don’t Understand. Is it bad to celebrate Christmas? Take advantage of Christmas to give special praise and thanks to your Jesus; to tell your family about Him; to teach your children the importance of Jesus. And don’t forget about the joy. Consider this: God became human in Jesus so you could seize the opportunity to be forever saved from hell for heaven. Did Jesus exist? So many atheists want proof. And then when you show them the evidence… it’s not what they want. God doesn’t impose His will on anyone; God lets us decide. How do you decide? For or against Jesus? It all comes down to that. Decide wisely. On Christmas Eve, you don’t want to read Luke 2:1-20 with your family? You’re too scared or embarrassed to read it out loud? No problem, then let your child read it. Or your mother or father. But wouldn’t I be denying Jesus if I do that? Think of Peter. From Jesus’ closest circle. Experienced Jesus’ miracles first-hand, listened to Jesus, spent time with Jesus. And? Peter denied Jesus. 3 times. And? Jesus continues to love Him, period. I’m not saying that it’s great to deny Jesus. All I’m saying is that every sin is forgiven by our Jesus. Rejoice over it; instead of being driven away from Jesus by the fear of your sins. We all fail in matters of unwavering faith. But we have Jesus. 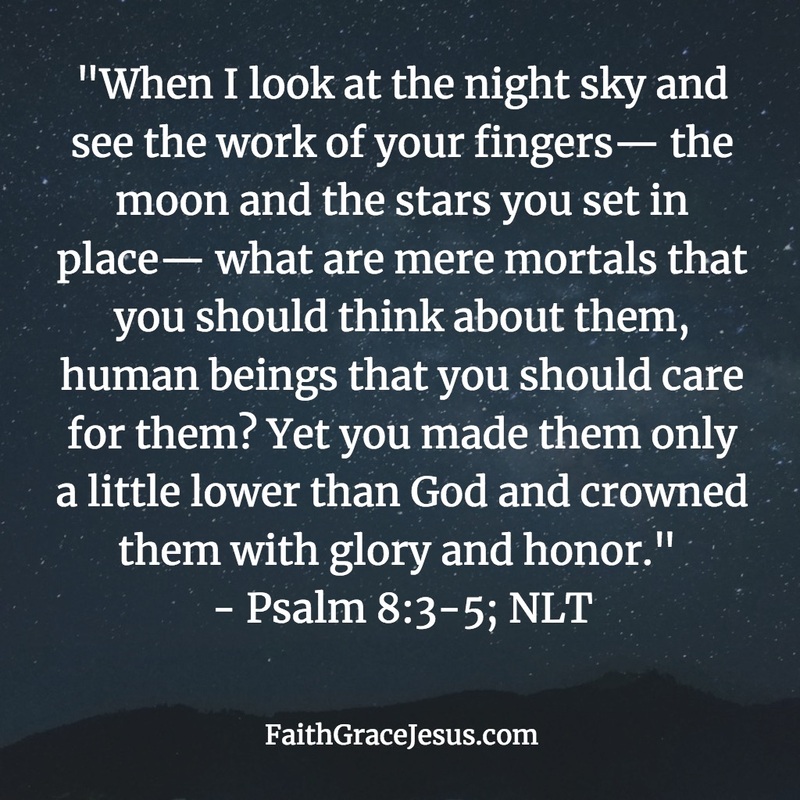 And His boundless love and His undeserved grace. We are saved. What a happy message! Thank You, Jesus. Hallelujah! Have a wonderful Christmas. With Jesus in the all-determining center.